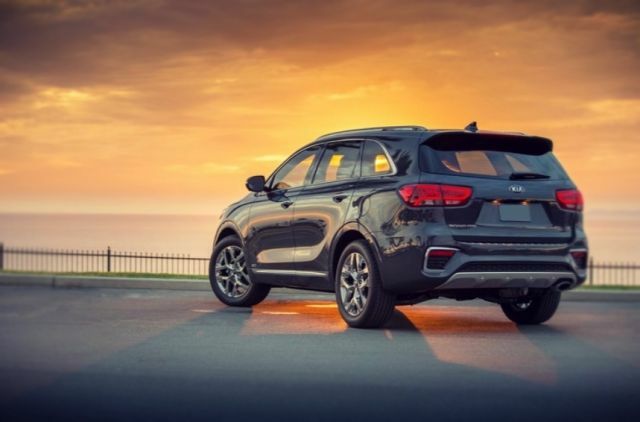 The all-new 2019 Kia Sorento is a midsize SUV that comes with a great interior, great warranty, and brilliant exterior styling. Moreover, plenty of trim levels, an AWD setup and three engine options are in the offer as well. 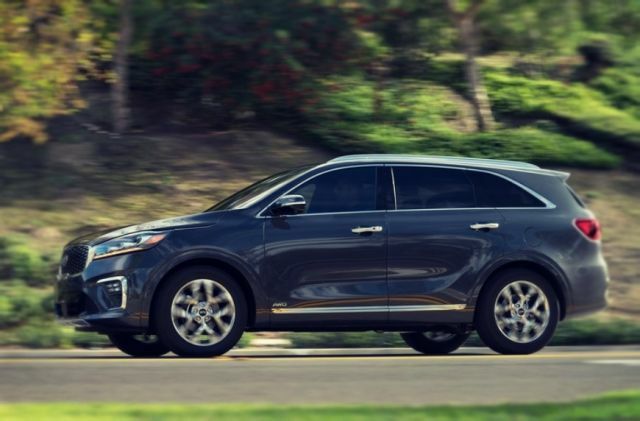 The 2019 Kia Sorento is very practical and customizable SUV as it comes with the 2-rows/5-seats and 3-rows/7-seat configurations. While smaller than its rivals such as Ford Explorer, Honda Pilot, and even Toyota Highlander, Kia Sorento is much easier to maneuver and park. This SUV has started its career in 2002, it had two generations before the third one that arrived in 2017. After total redesign and inclusion of new drivetrains, Kia says that a diesel engine is coming soon as well. The exterior of the 2019 Kia Sorento will get some changes, but there will be no significant improvements. The front comes with the grille that will keep its size and shape, however, more chrome details are on offer. Moreover, the headlights are slightly redesigned but the shape is still the same. A single strip at the bottom of the headlights is new and LED technology is available as standard. The bumper comes with the new center vent that now provides better cooling and aerodynamics. Foglamps are coming with a completely new design and LED technology as well. The side profile comes with no changes at all. The padding over the doors looks brilliant and thick padding behind the rear doors is a nice styling cue. The standard 17-inch wheels are still in the offer and 19-inch wheels are optional. The rear end now sports new taillights and new light clusters. LED lights are standard on EX trim level and higher. The rear end also got more chrome trims on the bumper and around the brake lights. Overall, the exterior is among the best-in-class, it looks sophisticated and sporty at the same time. The interior of the 2019 Kia Sorento will get mid-cycle refreshments, but generally, the most of the cabin will stay intact. New is the four-spoke steering wheel that offers more controls. Additionally, the center section now looks rectangular. Another new feature is a shifter knob and the instrument cluster suffers a slight redesign. The graphics are better now and the A/C vents are now sporting a different shape. More standard equipment is now available and 2019 Kia Sorento got some new optional equipment too. Front seats with the heating and cooling options are available and 14-way power adjustable driver’s seat is standard. Furthermore, the passenger seat is 8-way power adjustable is standard as well. Lumbar support is optional on the base model and standard on higher trims. Generally, the comfort is great and the new features are welcoming. The panoramic sunroof is optional, along with the Nappa leather seats. 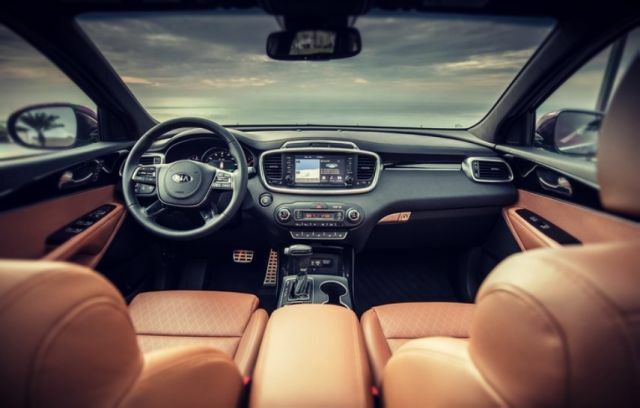 Kia decides to include new interior schemes and latest colors are Terracotta and Mahogany. Navigation is upgraded, and the infotainment system now supports Apple CarPlay and Android Auto. Moreover, premium Harman Kardon audio system with 10-speakers is all-new. Cargo room offers 74 cubic feet of space with the folded flat rear seats. 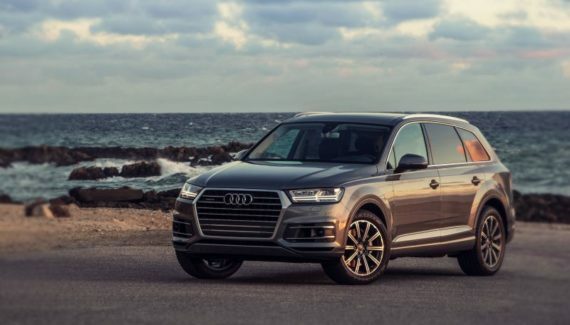 Overall, the interior both feels and looks premium and it is one of the best interiors in the mid-size SUV segment. The upcoming 2019 Kia Sorento offers three drivetrain choices. The standard unit is a 2.4-liter four-cylinder engine that can produce up to 185 HP and 178 lb-ft of torque. The 2.0-liter turbocharged engine comes with EX and Limited models. This output is capable of producing 240 hp and 260 lb-ft of twists. Moreover, the 2.0-liter drivetrain is available only on 2-row models which may come as a disappointment. A 3.3-liter V6 is also in the offer with the EX and Limited models but only with the 3-row models. This V6 generates 290 HP and 252 lb-ft of torque. All three options are using a 6-speed automatic and all-wheel drive setup is optional. Korean carmaker says that the U.S. models will get a diesel drivetrain in the near future, most likely in 2020. There are no words on a hybrid variant for now. Fuel economy is great, the first engine 2,4 liter gives 28 mpg on the highway and 22 mpg in the city. However, the fuel economy for the next one 2,0 turbocharger gives 18 mpg in the city and 25 mpg on the highway. Thanks to these engine choices, the new Kia Sorento can tow from 2,000 to 5,000 pounds. The forthcoming 2019 Kia Sorento will cost $27,000. If you opt for the LX trim level, you’ll have to pay $28,500. LX models with the optional V6 engine will cost around $30,500 and EX almost $36,000. The SX models are priced at $40,000 and range-topping Limited models at $45,000. 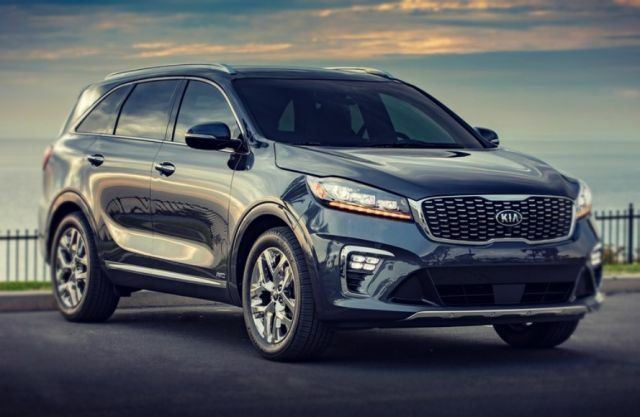 The U.S. markets will get Sorento in the first half of 2019. 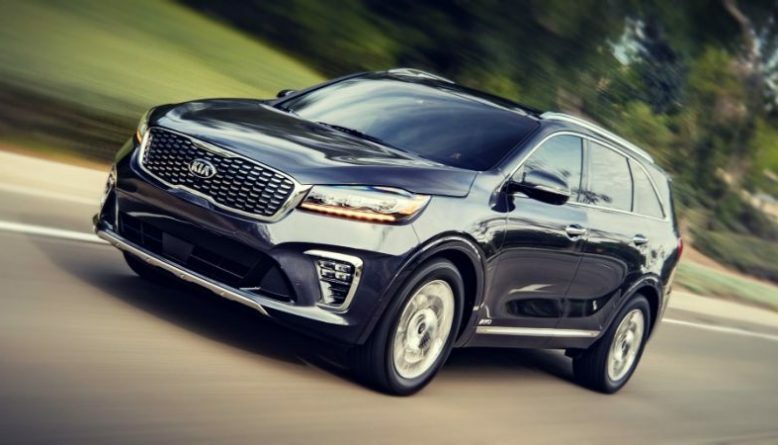 The biggest rivals of the 2019 Kia Sorento are Ford Explorer, Honda Pilot, Nissan Pathfinder and Toyota Highlander. 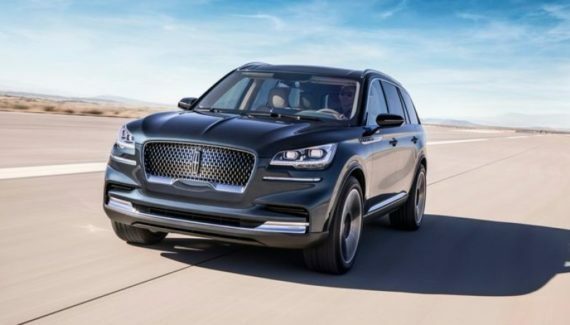 This mid-size SUV will go on sale later this year.